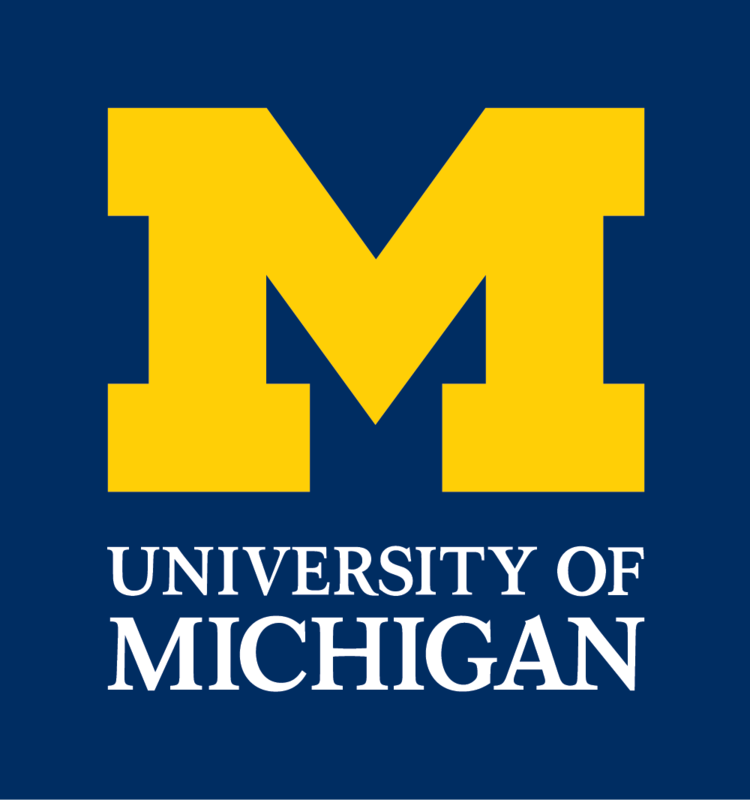 If you are a past speaker and would like to share or update your news, please email eeb-webinfo@umich.edu. Rachel Germain is now a joint Biodiversity/Killam Postdoctoral fellow at the University of British Columbia. The project that she presented at the 2016 ECSS was published in Proceedings of the Royal Society B. Her current research tests how species’ histories of competitive interactions have driven evolutionary divergence through the phenomenon of character displacement (CD). Tadashi Fukami published the work he presented at the symposium (Dhami, Hartwig, and Fukami 2016, Proceedings of the Royal Society B) and is working on a book on the symposium theme, frontiers in community assembly (contract with Princeton University Press). Luke Mahler will be a keynote speaker at the ForBio Annual Biosystematics Meeting in Bergen, Norway in April 2017. Following the meeting, he will also offer a short workshop in phylogenetic comparative methods. Andy Rominger will be starting as an Omidyar Fellow at the Sante Fe Institute in July 2017. He continues to work on the intersection of ecological and evolutionary dynamics from the perspective of statistical mechanics of non-equilibrial systems. Katherine Amato is now an assistant professor at Northwestern University in the Department of Anthropology. She continues to study gut microbes in the context of non-human primate ecology and is addressing similar themes in humans. Kelly Weinersmith was invited to talk about phenotype-manipulating parasites at The Future is Here Festival (an event co-run by Smithsonian Magazine and Nerd Nite). Rachel Vannette is now an assistant professor at University of California-Davis in the Department of Entomology and Nematology, studying plant-associated microbial communities and their influence on plant-insect interactions. Amy Iler began a new position as assistant scientist at the Chicago Botanic Garden in November 2016. Daniel Karp was co-lead author on Loss of Avian Phylogenetic Diversity in Neotropical Agricultural Systems, published in Science Magazine. He discussed some of the results at the 2014 ECSS. Mike Martin will be starting a tenure-track position as associate professor at the Norwegian University of Science and Technology in Trondheim, Norway on March 1, 2016. He’ll be in the Department of Natural History within the University Museum. While there, he’ll build his own research group and pursue funding to study genomics of plants and animals from herbarium and museum collections using ancient DNA. Cayelan Carey is in her second year as an assistant professor at Virginia Tech. Her lab has started conducting whole-ecosystem experiments in reservoirs, manipulating redox conditions to study the effects on biogeochemical cycling and plankton food webs. Paul Harnik started a new position in fall 2013 as an assistant professor in the Department of Earth and Environment at Franklin and Marshall College. Laura Wegener Parfrey became an assistant professor of botany and zoology at the University of British Columbia in 2013. She is working on the ecology of microbial eukaryotes. Melanie Hopkins started as an assistant curator in invertebrate paleontology at the American Museum of Natural History in New York. Catherine E. Wagner is now an assistant professor at the University of Wyoming in the Department of Botany and the Biodiversity Institute. She was the 2015 recipient of the Dobzhansky Prize from the Society for the Study of Evolution. She continue to work on using genetic and ecological data to understand the evolution of diversity in adaptive radiations, with a focus on African cichlid fishes. Graham Slater started as an assistant professor in the Department of the Geophysical Sciences at the University of Chicago in July 2015. Jessica Blois continues her job as assistant professor at University of California Merced. Andrew Hill completed his Ph.D. at the University of Colorado and works as chief scientist at Vizzuality in New York. He is working on projects with a broad set of challenges from biodiversity informatics to data visualization and global information systems. Lauren Sallan became a Michigan Fellow and assistant professor in the Department of Ecology and Evolutionary Biology at the University of Michigan! Sallan was recently interviewed about the early record of vertebrates, especially fishes, by Palaeocast, an online radio show supported by the Paleontological Society. She’s published a few recent papers: Sallan, L. C. (2012) Tetrapod-like Axial Regionalization in an Early Ray-finned Fish.Proceedings of the Royal Society B 279: 3264-3271. Friedman, M. and L. C. Sallan (2012) Five Hundred Million Years of Extinction and Recovery: a Phanerozoic Survey of Large-Scale Diversity Patterns in Fishes. Palaeontology. 55: 707-742. Sallan, L. C. and M. Friedman (2012) Heads or Tails: Staged Diversification in Vertebrate Evolutionary Radiations. Proceedings of the Royal Society B 279: 2025-2032. Morgan Tingley is now an assistant professor at the University of Connecticut in the Department of Ecology and Evolutionary Biology. Rosauer DF, Catullo RA, Vanderwal J, Moussalli A & Moritz C (2015) New lineage range estimation method reveals fine-scale endemism linked to Pleistocene stability in Australian rainforest herpetofauna. PLoS One. Rosauer DF & Jetz W (2015) Phylogenetic endemism in terrestrial mammals. Global Ecology and Biogeography, 24, 168-179. Moritz C, Fujita MK, Rosauer DF, Agudo R, Bourke D, Doughty P, Palmer R, Pepper M, Potter S, Pratt R, Scott M, Tonione M & Donnellan S (2016) Multilocus phylogeography reveals nested endemism in a gecko across the monsoonal tropics of Australia. Molecular Ecology. Monica Papes continues her work as assistant professor at Oklahoma State University, in the Department of Integrative Biology. She recently co-taught a Conservation Implementation course in Ethiopia, as part of KU Biodiversity Informatics Training Curriculum, funded by the JRS Biodiversity Foundation. Daniel Streicker is a Wellcome Trust/Royal Society Sir Henry Dale Research Fellow at the Institute of Biodiversity, Animal Health and Comparative Medicine at the University of Glasgow. He recently won the Science and SciLifeLab Prize for Young Scientists and the Robert C. Anderson Memorial Award for Best Dissertation in the Life Sciences at the University of Georgia. Laura Pollitt will be a Wellcome Trust CIIE junior fellow at the University of Edinburgh to work on the transmission implications of mixed strain infections in vectors starting in February 2014. Britt Koskella moved from the University of Exeter to take up an assistant professor position at University of California-Berkeley’s Integrative Biology department, where she continues to study the interaction between bacteria and phages within the plant microbiome. Amber Smith was awarded an NIH NIAID K25 Career Development Award in 2012 and moved to St. Jude Children’s Research Hospital. She is now a faculty member in the Infectious Diseases Department and has a laboratory that combines theoretical and experimental microbiology to investigate the mechanisms of influenza-pneumococcal coinfections. Richard Lenski and his long-term evolution experiment were recently featured in Science magazine. Jenna Gallie received a Marie Curie IIF postdoctoral research fellowship to work with Martin Ackermann at ETH Zurich and Eawag which is in Switzerland. Levi Morran has received an NIH NRSA Postdoctoral Fellowship. Bjørn Østman is a postdoc at Michigan State University and BEACON Center for the Study of Evolution in Action. His research is on evolutionary dynamics. Steven Kembel became a professor in the Département des sciences biologiques at the Université du Québec à Montréal in August 2012. Liliana M. Davalos leads a 2014 Dimensions of Biodiversity Award on uncovering the genomic and developmental basis of sensor innovation in bats. In 2015 her research on deforestation was featured in New Scientist. Additionally, Dr. Dávalos is a 2012 National Academies of Sciences Education Fellow in the Life Sciences and a 2013 Fellow of Kavli Frontiers of Science symposium for outstanding early-career scientists. Jeannine Cavender-Bares continues to study physiological evolutionary ecology in the Department of Ecology, Evolution and Behavior at the University of Minnesota (Associate Professor). She is a Fellow at the UMN Institute on Environment and a Leopold Leadership Fellow. She is currently leading a Dimensions of Biodiversity project sponsored by NSF and NASA: Linking remotely sensed optical diversity to genetic, phylogenetic and functional diversity to predict ecosystem processes. Stefano Allesina recently accepted a tenure-track position at the University of Chicago’s Ecology & Evolution and Computation Institute. This article in Nature News covers a recent talk Allesina gave at the Ecological Society of America on how to use Google to identify important species in ecosystems. Christian Landry is now an associate professor in the Department of Biology at Université Laval in Québec, Canada. Tarassov, K.*, Messier, V.*, Landry, C.R. *, Radinovic, S.*, Serna, M., Shames, I., Malitskaya, Y., Vogel, J., Bussey, H. and S.W. Michnick. 2008. An in vivo map of the yeast protein interactome. Science 320:1465-1479. Lynch, M., Sung, W., Morris, K., Crown, N., Landry, C.R., Hartl, D.L., Dopman, E., Dickinson, W.J., Okamoto, K., Kulkarni, S., and W. K. Thomas. 2008. A Genome-wide View of the Spectrum of Spontaneous Mutations in Yeast. Proceedings of the National Academy of Sciences USA 105: 9272-9277. Brown, K.M., Landry, C.R., Hartl, D.L. and D. Cavalieri. 2008. Cascading effects of a naturally occurring frameshift mutation in Saccharomyces cerevisiae. Molecular Ecology. Epub April 2008. The talk Sasha Levy gave at the Early Career Scientist Symposium was just published in PLoS Biology. Emily Minor is a faculty member in Biological Sciences at the University of Illinois at Chicago and is going up for tenure in 2014. Bragg, J.G., Wagner, A. 2009. Protein material costs: single atoms can make an evolutionary difference. Trends in Genetics 25, 5-8. Wagner, A. (2009) Transposable elements as genomic diseases. Molecular Biosystems, 5 32. For a complete list, see Wagner’s publications page. Samanta Forde is currently a program officer with the Marine Microbiology Initiative at the Gordon and Betty Moore Foundation, as well as an adjunt assistant professor in the Ecology and Evolutionary Biology Department at the University of California Santa Cruz. She is also a co-founder of Women Evolving Biological Sciences, a program aimed at increasing the number of women in leadership positions in the biological sciences. Dustin Rubenstein continues to be an assistant professor at Columbia University, Department of Ecology, Evolution and Environmental Biology . He was awarded Outstanding New Investigator Award by the Animal Behavioral Society, as well as the Ned K Johnson Young Invesitgator Award by the American Ornithologists’ Union, both in 2010. Rubenstein, D.R. and M.E. Hauber. 2008. Dynamic feedback between phenotype and physiology in sexually selected traits. Trends in Ecology and Evolution 23:655-658. Renee Duckworth became a G.C. Simpson Fellow at the University of Arizona, Ecology and Evolutionary Biology in 2008. Meghan Duffy became an assistant professor in the Department of Ecology and Evolutionary Biology at the University of Michigan in 2012. Previously, she was an assistant professor at the School of Biology, Georgia Institute of Technology since 2008. She received a “Research Starter Grant: The role of competition among parasites in driving patterns of disease” from the National Science Foundation. Brian Langerhans is currently in his fourth year as an assistantpProfessor at North Carolina State University, with an active lab tackling the predictability of phenotypic evolution, the impacts of human activities on rapid evolution in the wild, and the ecological causes of speciation. Alison Bennett researches evolutionary ecology arbuscular mycorrhizal fungal-plant-insect interactions and arbuscular mycorrhizal fungal-plant bipartite networks as a faculty member of the James Hutton Institute in Scotland. Marc Johnson is a postdoctoral fellow at Duke University, funded by Natural Sciences and Engineering Research Council of Canada. Judith Bronstein is currently University Distinguished Professor of Ecology and Evolutionary Biology at the University of Arizona.